Ceremonies generally take one of three “paths”. All are short enough to be comfortable and long enough to be remembered – generally fifteen to thirty minutes, depending on your choices. One of the three paths into marriage incorporates specific traditions, often religious or cultural. The second path is moderately traditional, often spiritual, but is not bound by a particular culture or religion. Many couples modify and/or combine ideas they’ve observed at other weddings or discovered through the Internet, views, magazines, and books. We’re familiar with Philippine, Scottish, Spanish, Mexican, Jewish, and other wedding customs. But ultimately, marriage lives in the present. Your ceremony can enjoy various traditions and still uniquely be your celebration! The third ceremony path is deliberately one-of-a-kind. The pleasure of such weddings is proportional to the creativity of each couple choosing such non-traditional design. 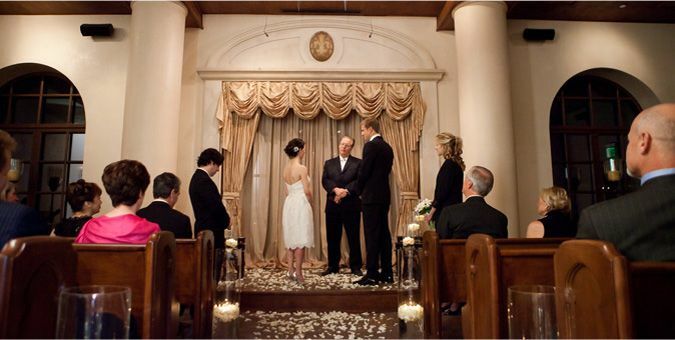 Ceremonies can be designed for widows and widowers, ecumenical, and interfaith situations. They can utilize literary arts, music, and other creative elements. One ceremony Pastor Ed officiated involved the groom and groomsmen (all were professional performers) tumbling acrobatically up the aisle. Helicopters, limousines, and concert halls have been wedding sites. There is little that cannot be made to fit your ideal. Every part of your ceremony will be designed with and for you as the wedding couple, fitting your personalities. Please notice the box on this page titled Start Your Planning. When you sign up, you’ll have access to our exclusive wedding planning materials. Then we can begin to work out work your ceremony together or, if you choose, we’re equally comfortable with preparing a sample for your approval. Call Pastor Ed at 702.580.6589 if you’d like even more suggestions and encouragement.